Welcome to Day #5 of And Now for Something Completely Different Theme Week. Today I tried a Foie Gras 68 percent Bolivia chocolate bar from Xocolatl de David (Portland, OR). This bar had a very slight foie gras aroma, and a creamy melt. The texture was smooth. 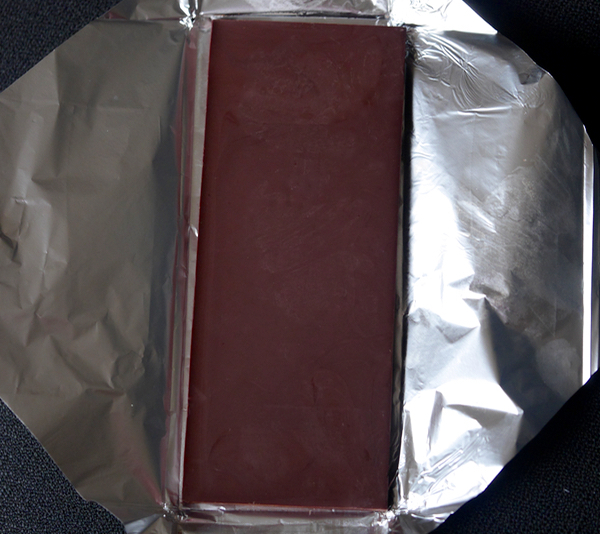 The bar had a slightly salty, savory flavor; but the actual flavor inclusion (foie gras) may be difficult to guess for tasters. 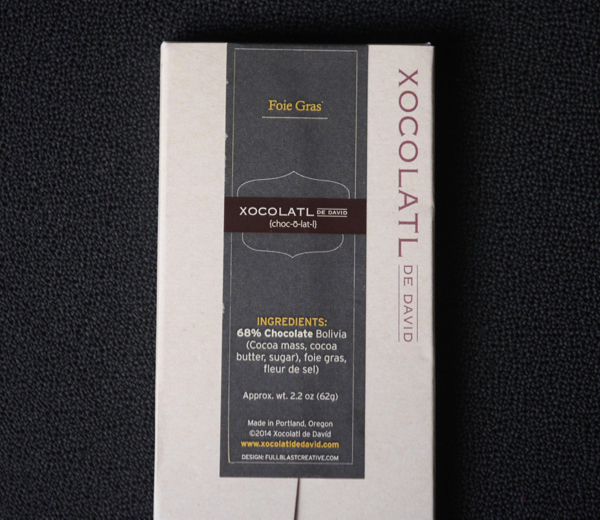 Xocolatl de David, known for its creative stable of savory bars, also offers a "Foietella" spread with chocolate. 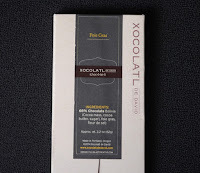 Thank you to Adam and the team at Fog City News (San Francisco, CA) for their curated selection of chocolates and for their help in finding unique bars for this week. 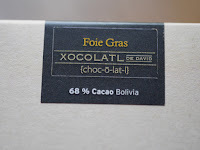 *Foie gras is a savory spread made from goose or duck liver and sometimes includes chopped pistachio nuts. Foie gras made by traditional methods (that involve "force-feeding" birds to fatten up their liver) is outlawed in California.